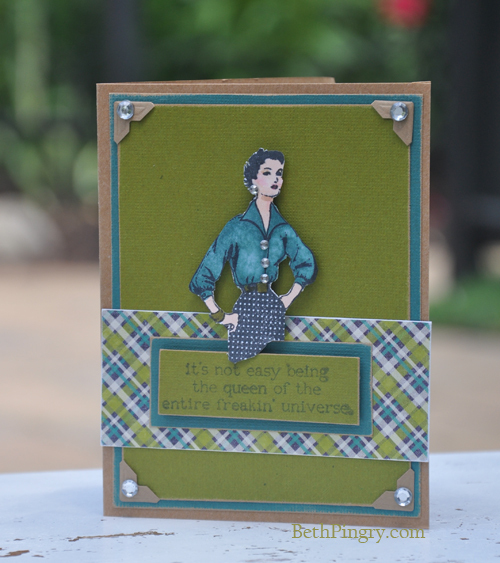 Queen of the Universe Card and Blog Hop! Join us as we blog hop with CardMaker Magazine! Scrapbook Adhesives by 3L® is sponsoring two Adhesive Prize packages worth $25 each. One winner will be randomly drawn from comments on the Crafty Power Blog, and the other will be randomly drawn from comments on the participating blog posts. Be sure to comment on each blog for your chances to win. The contest is open from June 19, 8:00 am EST, until June 21, 8:00 am EST. 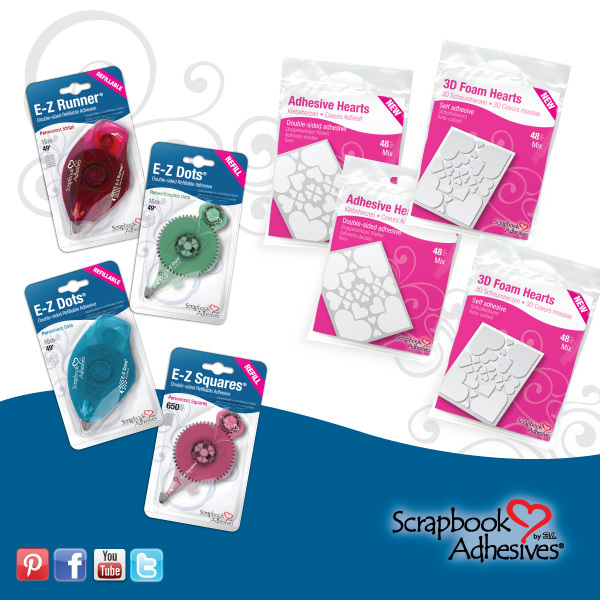 Winners will be announced on the Scrapbook Adhesives by 3L Crafty Power Blog! She stands off the card background a teensy bit, and the bling, well, she is the queen of the entire freakin’ universe, you know! I’m using this card for a friend’s birthday! 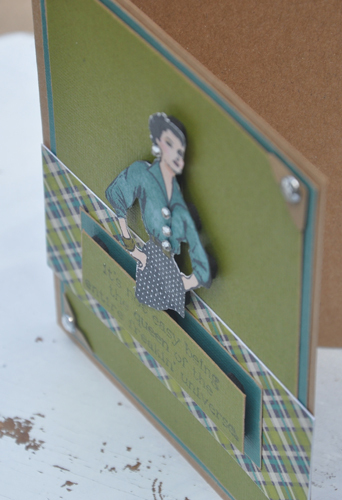 Thanks for stopping by, and be sure to finish the blog hop by heading to the CardMaker Blog! This entry was posted in Announcement, Card, cards, Copic, SCRAPBOOK ADHESIVES By 3L, SCRAPBOOK ADHESIVES BY 3L and tagged blog hop, Card, CardMaker Magazine, Copic Marker, Core'dinations, Jillibean Soup, SCRAPBOOK ADHESIVES BY 3L, Tsukineko, Unity Stamp Co., Want2Scrap. Bookmark the permalink. Love the sentiment. It’s so true for most women (men may not agree). OH this just makes me laugh! Great card. Also …. just as skinny … er uhhhhhm …. “thin” as I’d love to be!! 🙂 Great card! Love the card and how you used the pop dots. Thank you for sharing your card. I so agree with this statement! ha! Great card and loving all the dimension! Cute idea, I am sure your friend will love the card. I liked the color combos too. Great job. Fun and vintage! I love it. Beth Love this card. It is simply so funny! Thanks for sharing. I love it and it is TRUE! As they say, the Queen rules. Love your card! Ha Ha Ha, love the sentiment of this card. Im sure your friend will love it. that is so cute – I think I need to go shopping. Beth, I’ve told you many times how much I admire your work and today’s card is no exception. I simply love the patterned paper, how you elevated the image and the greeting just a bit, and how the gems add just the right amount of bling! Great job, as always! Beth, you made my day. You had me chuckling in the first paragraph of the post, then I looked at the card and started laughing. You have a great sense of humor. My sisters would so love this. Your card is excellent. Great color choices, layering, embellishment, and image. Of course I loved the sentiment. Really great job. I followed you by the way. I will look forward to getting your e-mailings. Aren’t we al queens of the universe? OMG!!! That sentiment is perfect. Oh I love your card.that sentiment cracks me up. I have a friend it would be perfect for. I love all the layers. I know a few ladies that would appreciate the sentiment as well. Thanks. Very funny sentiment and I like the dimension. Really fabulous card! I love all the little details! TFS! So funny! Love your card. Love the dimension and that sentiment just cracks me up! Thanks for sharing! I absolutely love your card! Awesome! Have enjoyed the blog hop. Thanks. Ha ha ha! Love that quote! Awesome card Beth! Fun card, great sentiment and retro style! NO worries, Ava, just had to jump in to approve the comment! Great Card!!! Love the stamping. Great card…..love the retro look! Love the color combination and the use of the photo corners 🙂 Had to chuckle when reading the sentiment and looking at that image! LOL! Fun card! !